In demolishing a house recently, for the purpose of widening the Rue Guy Lussac, [sic] near the Pantheon, the workmen discovered in one of the chimney jambs a cavity in which was the skeleton of an infant of about a year old. 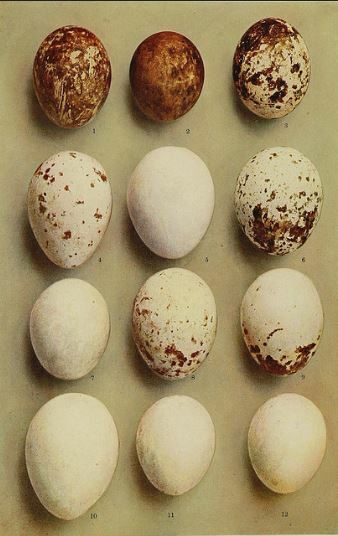 The bones reposed on a layer of eggs, still entire, to the number of more than 60, and near the hand was a little leather ball, which had formerly been white. The heat had partly calcined the bones of the legs, and the eggs had been dried till the centres were not larger than a pea. The infant appears to have been in this receptacle for some 25 or 30 years, which besides had been made and closed up by some practised hand, as there were no external signs of any derangement. Conjecture is quite baffled as to the reasons for such a singular tomb, and for the accompanying eggs. Towards 1804 the house was inhabited by a religious community, but in the year 1807 it became a furnished lodging-house. What are we to make of this? Obviously eggs have been used for millennia as a symbol of resurrection. They played a particularly prominent role in Etruscan funerary art, as you may read in this paper by Lisa C. Pieraccini. Anyone know the price of eggs in Paris in the 1830s? If the child was simply the dried fruit of someone’s shame hidden up the chimney, you would not expect to find a lavish bed of eggs, which, after all, cost something to purchase. Was the entomber an impoverished servant girl, a farm-fresh maid with a basket of the newly-laid, or a bourgeoisie occultist with a line of credit at the local grocer’s? Can we assume that the estimated date of entombment—25 or 30 years—was accurate? If not and the corpse was put there earlier, the religious community might have had its own hen-house as well as its own secret sexual scandals. A furnished lodging-house widens the field of suspects almost indefinitely. And then there is the question of the child’s age, if, again, the proposed age is accurate. The nineteenth-century press reported an unsettlingly large number of infant bodies discovered in domestic settings: in chests of drawers, trunks, and under floorboards. But in such circumstances one would expect to find the corpse of a newborn hidden by a desperate mother and her bricklayer companion rather than the grave of a toddler. Strangely, there is no mention of a coroner or an inquest and I’ve found nothing beyond what is stated in this article. Thoughts on this unique entombment? Did the persons who sealed the child in the tomb in the chimney hope for—or hope to prevent—a resurrection? Chris Woodyard is the author of The Victorian Book of the Dead, The Ghost Wore Black, The Headless Horror, The Face in the Window, and the 7-volume Haunted Ohio series. She is also the chronicler of the adventures of that amiable murderess Mrs Daffodil in A Spot of Bother: Four Macabre Tales. The books are available in paperback and for Kindle. Indexes and fact sheets for all of these books may be found by searching hauntedohiobooks.com. Join her on FB at Haunted Ohio by Chris Woodyard or The Victorian Book of the Dead.